The Ratkovich Company (TRC) has sold its interest in The Bloc to one of its equity partners, National Real Estate Advisors, LLC (National). The Bloc is a 1.8 msf, mixed-use property occupying a full city block at 7th and Flower Streets in downtown Los Angeles. The property is home to the Sheraton Grand Los Angeles Hotel, a Class A office building, Macy’s Los Angeles flagship, curated stores and restaurants, and the highly anticipated Alamo Drafthouse Cinema. 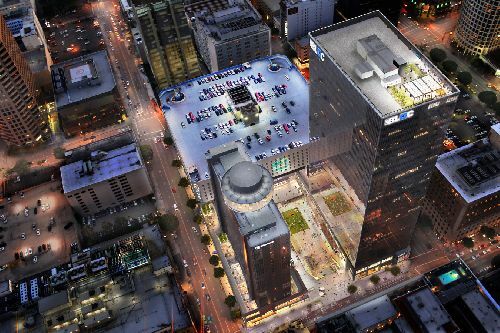 TRC and National acquired the property in 2013 and have jointly developed the site into a transformative downtown destination, connecting DTLA to Metro mass transit. TRC’s current development projects include the San Pedro Public Market and The Alhambra. The San Pedro Public Market, scheduled to begin construction in 2019, is planned to be a world-class urban destination that re-energizes and connects downtown San Pedro and the surrounding local communities to its waterfront. The Alhambra is a premier 45-acre, mixed-use property located in the City of Alhambra, with over 40 tenants including The County of Los Angeles and the USC Keck School of Medicine. TRC will continue to manage its other assets including 5900 Wilshire, the iconic 31-story office tower located on Wilshire Blvd. across from LACMA, and the Hercules Campus at Playa Vista, encompassing 11 historic structures, which was successfully repositioned to lead the explosive growth of Silicon Beach in Playa Vista.